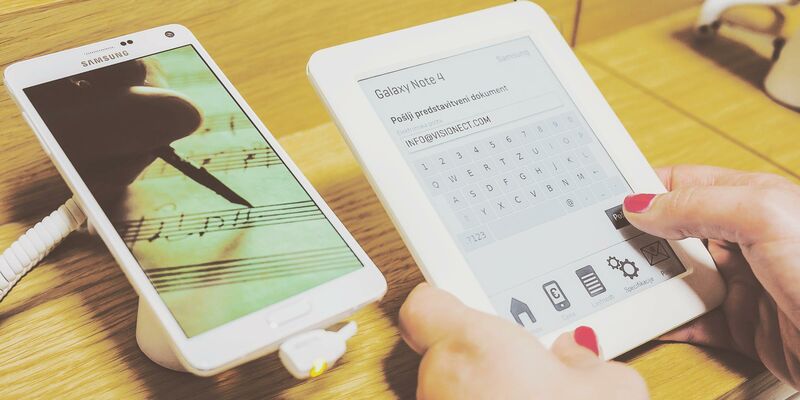 ELECTRONIC PAPER GOES THE EXTRA MILE. Visionect electronic paper products power versatile signage solutions in industries worldwide. 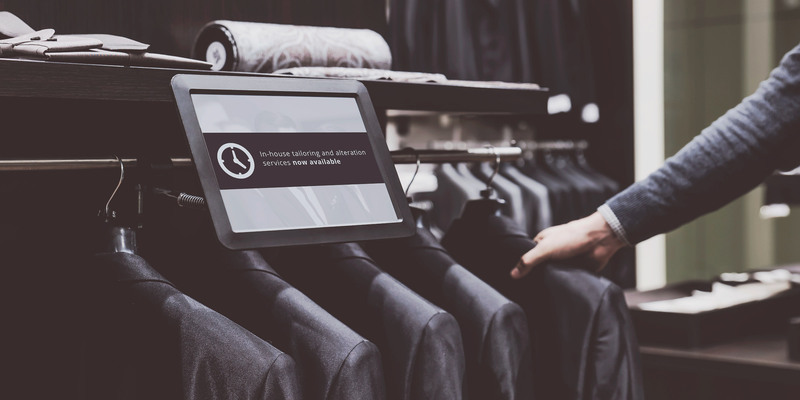 Among them are smart shelf labels developed on electronic paper, promoting products that complement the purchase and showcasing promotions triggered by specific real-time events. 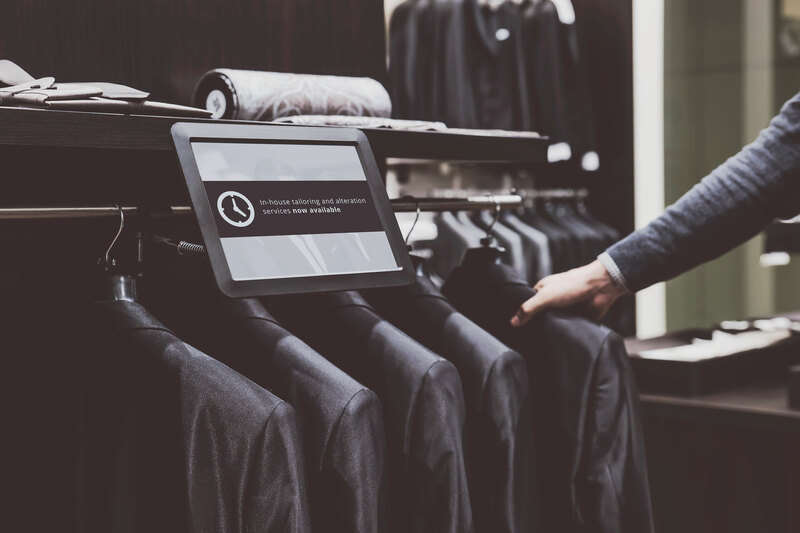 Offering real-time analytics of shopping behavior, they open the door to next generation services and convert visitors to customers. Electronic paper shelf labels offer instant insight into items on sale without straining staff. Real-time price adjustments and always current information improve the customer journey and provide insight into the consumer experience. No wires, no heavy installation, with a paperlike feel without glare. 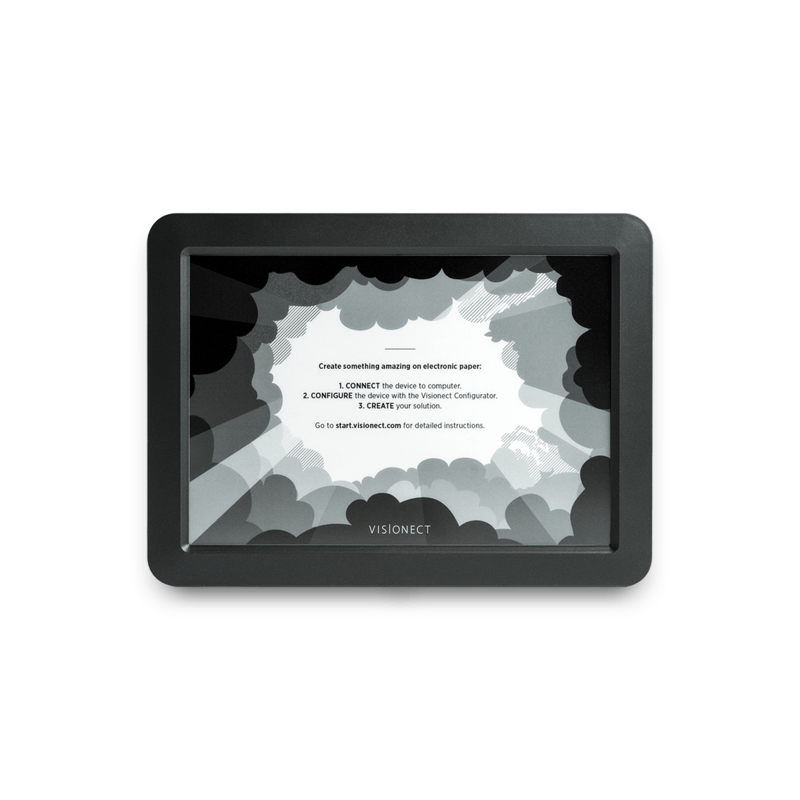 Centrally managed dynamic information displayed on easy-to-read electronic paper offer easy comparisons of items on sale, with dynamic price lists, event-triggered promotions and expert recommendations provided in the language of choice. 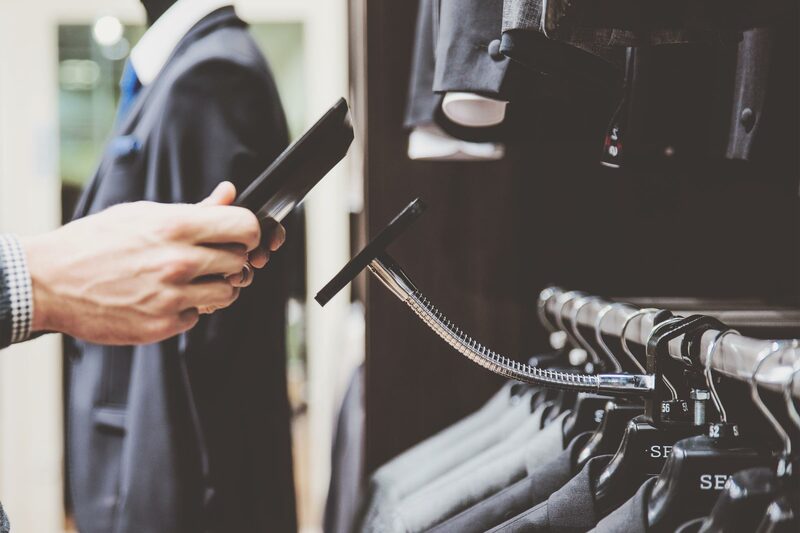 The option of analytics allows retailers to track real-time behavior on the shop floor. 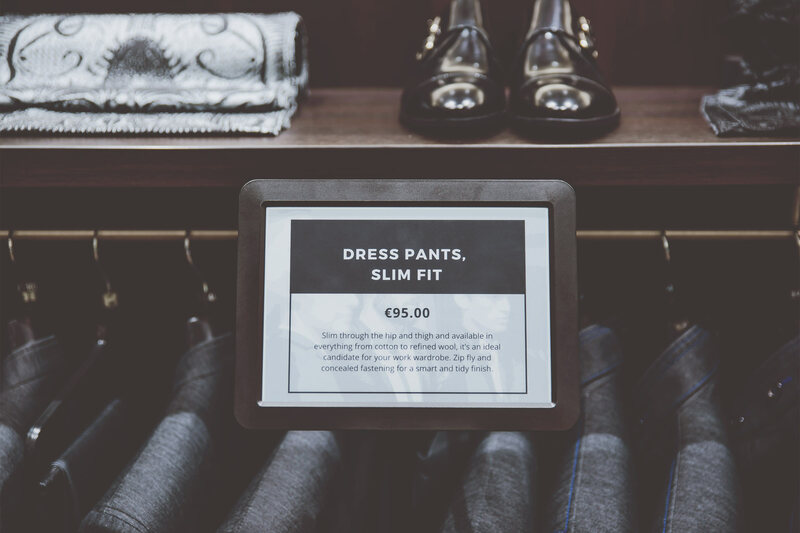 Visionect Signs are used as smart shelf labels in retail stores selling consumer electronics, in furniture stores, car showrooms, high-end fashion stores, and more. The labels are centrally managed and monitored by the Visionect Software Suite. Cableless. No need to disrupt the retail space. Information about items on sale, expert recommendations. Upselling, cross-selling and add-on services made simple. 99% more efficient than LCD. A battery life of months. Fully customizable via Wi-Fi and 3G. All locations at once. Instant promotions triggered by real-time events. No glare, no light pollution. The feel of paper. Instant access to information without straining staff. Full language optimization, with just one click. Started life as one of our e-paper development kits. The fastest way from idea to mass deployment. Visionect hardware and software at the heart of the smartest shelf label. Developed especially for electronic paper signage. 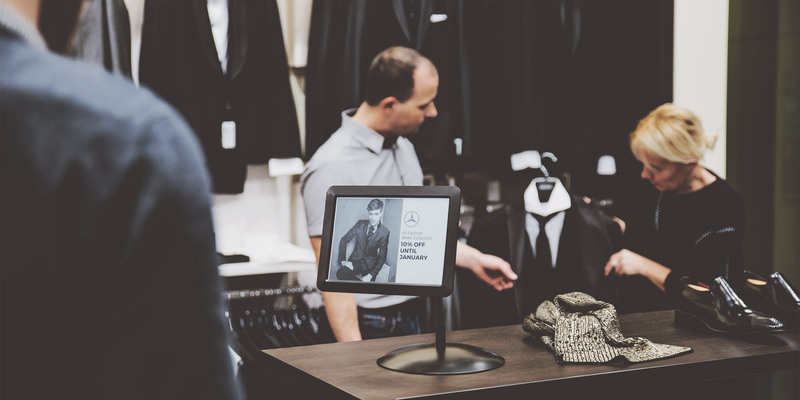 Let your shop assistants handle the personal touch, leave everything else to the smart e-paper label. Offer your clients a solution that fits. Go the extra mile with a unique Internet of Things ecosystem of digital displays. Help build the new era of retail. Join your vision with cutting edge signage technology powered by Visionect. Learn more about smart shelf labels, Powered by Visionect.